I know you're probably asking yourself: "What was Samsung thinking?! 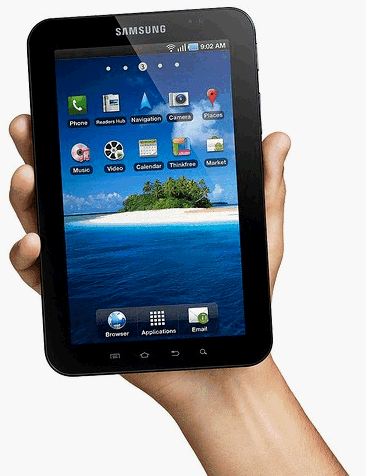 Why didn't they put highly useful ports like microUSB or microSD card slot on Samsung Galaxy Tab 10.1? What's that about?!" The thing is, if we're going to think of Samsung Galaxy Tab 10.1 as the next iteration to or the immediate upgrade from Samsung Galaxy Tab P1000, it'd be so easy to expect the former to be leaps-and-bounds better than the former. But really, I don't think that's the case. I'm inclined to believe that Samsung intends to promote and sell these two products at the same time, side by side each other -- with 10.1 just slightly more expensive that the 7-inch version. P1000 should appeal to users who want a smaller, lighter tablet with more ports while P7100 will be for those who want a bigger, more powerful tablet and who don't often use all those ports. How do you charge it without a USB port?? Correction : Android 3.0 is Honeycomb and Android Gingerbread is 2.3.
if you can use p1000 as a phone, can you use p7100 as a phone as well? Hi TechPinas, Can u please send us a quotations/pricelists for the android phones. all units of android phones? appreciate if u can send it together with the details/specs of each units? heres my email titan_cim@yahoo.com. hope to get feedback from u ASAP. There is not microUSB on galaxy tab 7"